Even bum flowers have their rights you know!!! Cute, and I love Morning Glories! I was trying to work out if you had done something in processing to get these strong colours. It seems that this particular gossip is out of favour with you. I am sure it has earned its place in the collection of poolside flowers. @ribbet9 Thank you very much! I do also. They grow all over the place here, which makes me happy. @marylandgirl58 Thank you very much! I had to do a fair bit of scrunching down to get only the pool behind the blossom, but I think it was worth it. @helenhall I increased the highlights a bit to bring up the lighter parts, but that gorgeous purple-y blue was that intense from the beginning. 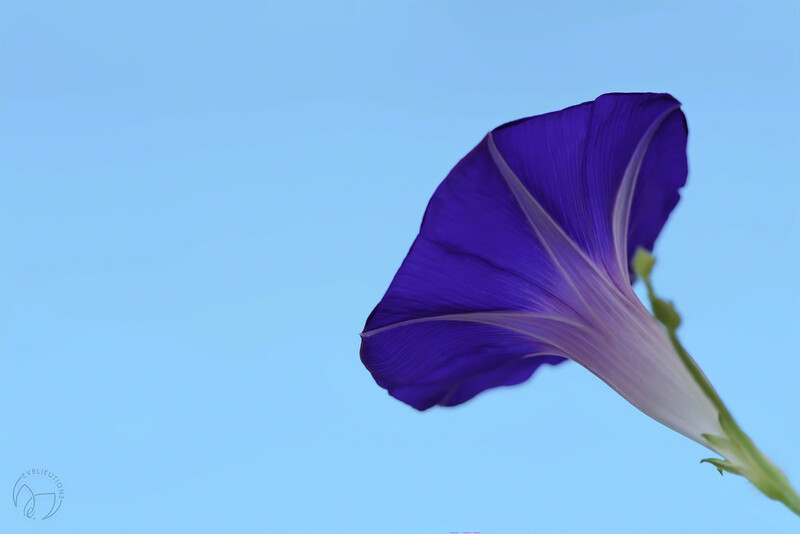 Morning glories are never out of favor...I was just trying to come up with something to say about a flower! @milaniet Thank you very much! @maggiemae Thank you so much! I think we are safe! @lynnz Thank you so much; I appreciate your comment.! So beautiful and truly is gorgeous on black. Fav!